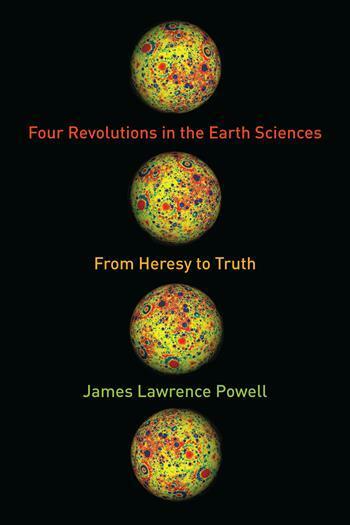 James Lawrence Powell, Four Revolutions in the Earth Sciences: From Heresy to Truth (New York: Columbia University Press, 2014), 384 pp. Publisher’s description Over the course of the twentieth century, scientists came to accept four counterintuitive yet fundamental facts about the Earth: deep time, continental drift, meteorite impact, and global warming. When first suggested, each proposition violated scientific orthodoxy and was quickly denounced as scientific–and sometimes religious–heresy. Nevertheless, after decades of rejection, scientists came to accept each theory. The stories behind these four discoveries reflect more than the fascinating push and pull of scientific work. They reveal the provocative nature of science and how it raises profound and sometimes uncomfortable truths as it advances. For example, counter to common sense, the Earth and the solar system are older than all of human existence; the interactions among the moving plates and the continents they carry account for nearly all of the Earth’s surface features; and nearly every important feature of our solar system results from the chance collision of objects in space. Most surprising of all, we humans have altered the climate of an entire planet and now threaten the future of civilization. This absorbing scientific history is the only book to describe the evolution of these four ideas from heresy to truth, showing how science works in practice and how it inevitably corrects the mistakes of its practitioners. Scientists can be wrong, but they do not stay wrong. In the process, astonishing ideas are born, tested, and over time take root. This entry was posted in books, environment, geology, history of science by darwinsbulldog. Bookmark the permalink. ” Over the course of the twentieth century, scientists came to accept … deep time”. I hope this is the publishers language, not the author’s. Time deep compared with all human history was established well before the end of the nineteen century, although of course, in the twentieth century, radiometric dating led to a 5-fold expansion of the timescale since the Cambrian, and to the discovery that the Earth was almost 10 times older yet.